Designed by an expert-Frenchman-furniture-restorer by request of his Equestrian friends. This all-natural "saddle soap" is like magic for bringing your dirty beloveds back into the land of clean living. Winter-tired boots. Favorite bomber jackets. Two-Pony Harnesses. This stuff prevents mold and mildew and conditions and softens as it cleans. 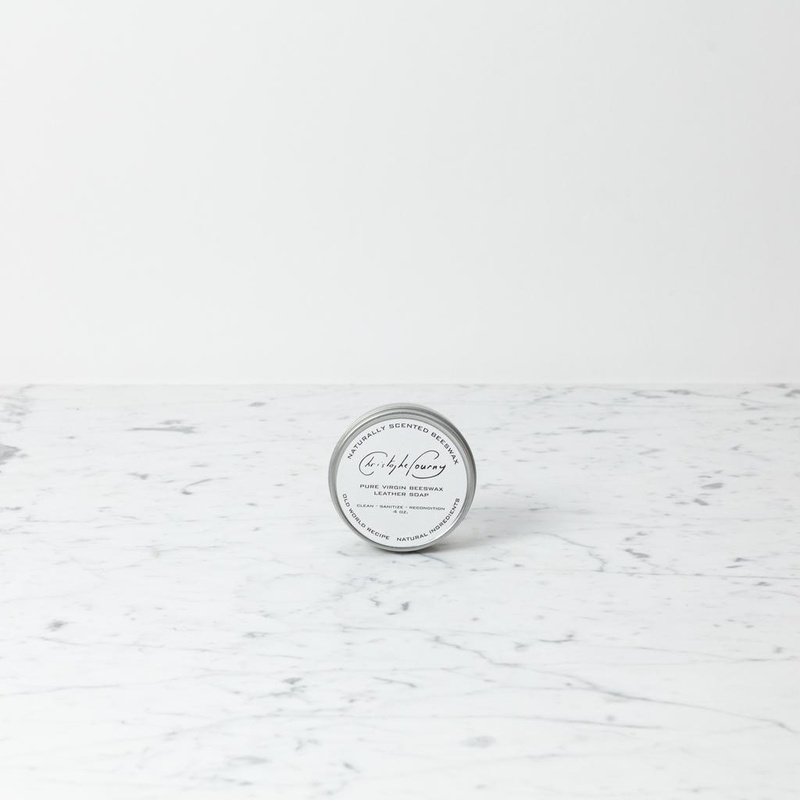 Made in Brooklyn, NY, the all-natural, small-batch formulas are hand-mixed by restoration artisans and experts and poured into a tin vessel. With no harmful chemicals, solvents, or petroleum distillates, this are richly scented with the organic essences of their all-natural proprietary ingredients. Mink Oil free. To use: Simply rub a damp cloth on the paste/cream soap and apply to leather surface in a circular motion to lather.